Local busker Aaron Basskin performs his version of a song almost everyone in the English-speaking world can at least hum along to: “If I Only Had a Brain” by Harold Arlen and E.Y. Harburg, written for the 1939 film version of The Wizard of Oz. At first Basskin was a little reluctant to perform this tune, as he’s only played it a few moments earlier. 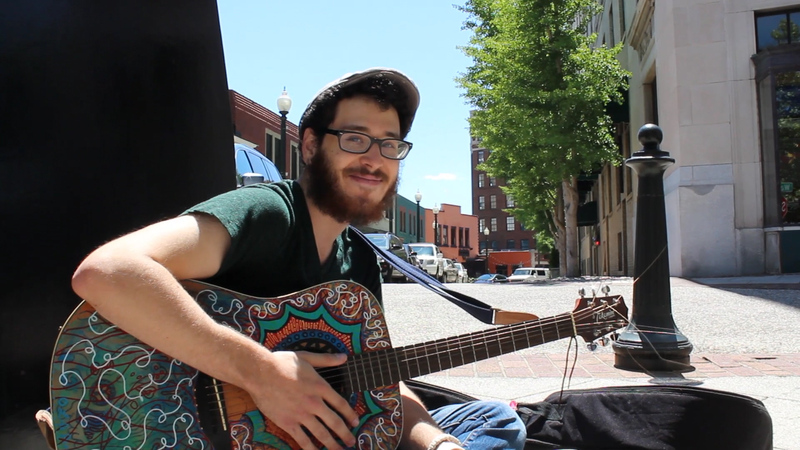 But that’s one of the great things about mid-day busking, as crowds rarely linger for more than a song or two, so there’s no harm in playing your favorite tune a few times. And what’s not to like about this classic, sing-alongable tune?